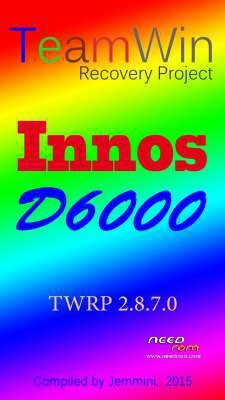 This is the temporary and permanent TWRP for Innos D6000 so you can flash gapps or root. I recommend only running the temporary. No real need for flashing permanent TWRP. Thank you. This procedure works like a charm. I was hesitating and did try several other ways to root my D6000. I should have used this from the start. Everything over in a couple of minutes.